223 Scribner Ave in Norwalk has a location that matches the property itself -- See it soon to get a chance to purchase this amazing home! Driving into West Norwalk and up Scribner Avenue towards the home, you get the pleasure of driving by the campus of Saint Matthews Church, which has done an amazing job of cultivating and pruning their trees to create a special look. You cannot see the home from Scribner if approaching from the South, because of the privacy created by the ledge in the front yard. The home is immediately recognized as a raised ranch. It has a driveway to a 2 car garage, and the large back yard can be seen as you enter the grounds. Upon entering the front door, you are greeted by a bright and spacious foyer, creating a welcoming entrance to your new home. The stairs up lead to an open floor plan, with living room, dining room, and kitchen all in one space. The hardwood floors are recently refinished, and the walls recently painted. The living room is quite large, with a big window that adds natural light to the space. The center of the room is the fireplace and custom mantle, allowing for cozy New England winters by the fire, sipping tea or hot cocoa. The dining room flows naturally from the living room, and a large, new, slider door leads out to a large deck with new decking. Since we are outside, we notice a large, flat back yard that is quite private and perfect for entertaining large amounts of guests. There is also a shed to store your equipment to maintain the lawn. The kitchen is the next room, with a breakfast bar/peninsula connecting the dining room to this space. There are new appliances and a new tile floor, and ample cabinet and counter space fit for a chef. The layout of this kitchen is also ideal for cooking and entertaining. The upstairs boasts 4 total bedrooms, including a master suite, and 2 total full bathrooms, both with recent updates -- spectacular stone work, newer vanities, and modern tastes. Atypical of most raised ranches, all four bedrooms are on this level and all are spacious. 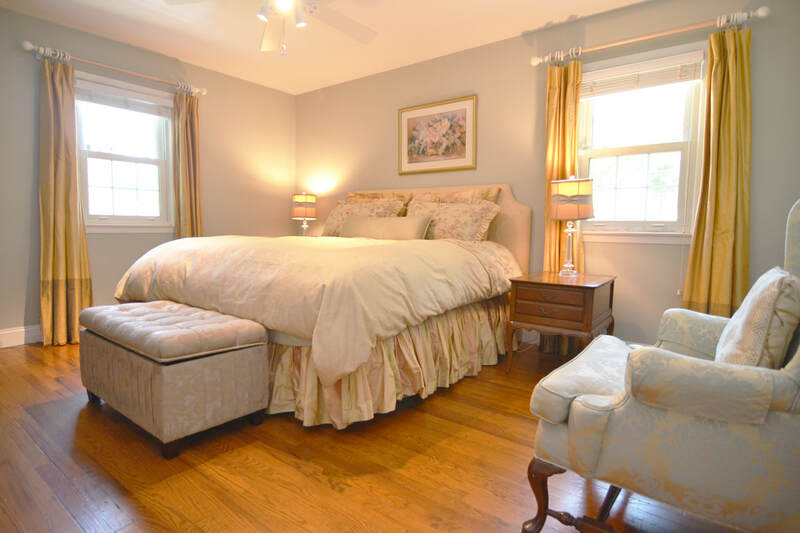 The hardwood floors continue into these rooms, and there are several closets including a 'his-and-hers' setup in the master bedroom. The lower level features a large family room with the second fireplace. 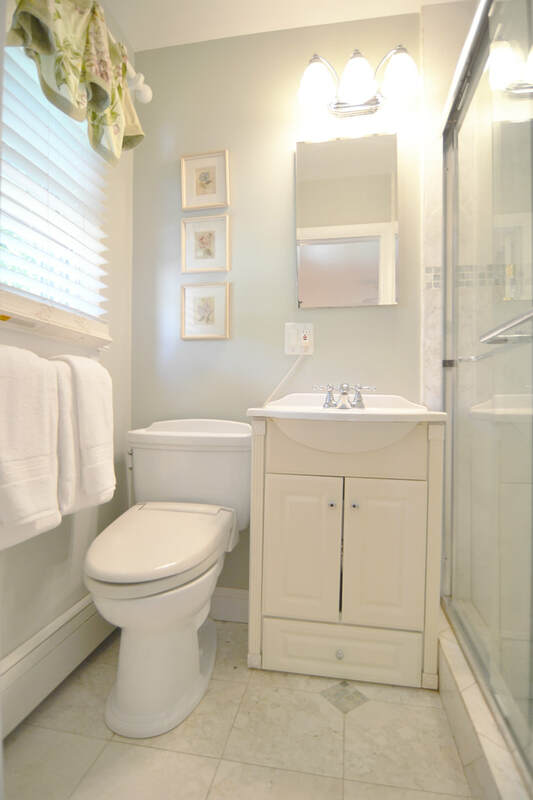 This basement space is newly updated and features a laundry/half bath for guests to use. This also has access to the large two-car garage as well as excess storage for your winter/summer clothes and holiday items. The lot and location are also part of the appeal of this home -- all buyers are seeking a level/private back yard, and this does not disappoint. 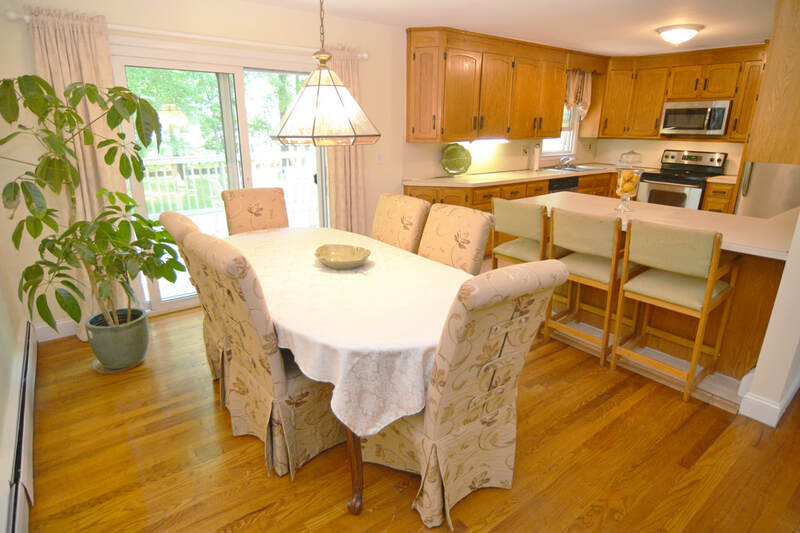 The home is minutes from the highways and CT Ave with shopping restaurants and more. Also around the corner is Oak Hills Golf Course, the schools and playgrounds, and so much more that West Norwalk has to offer. 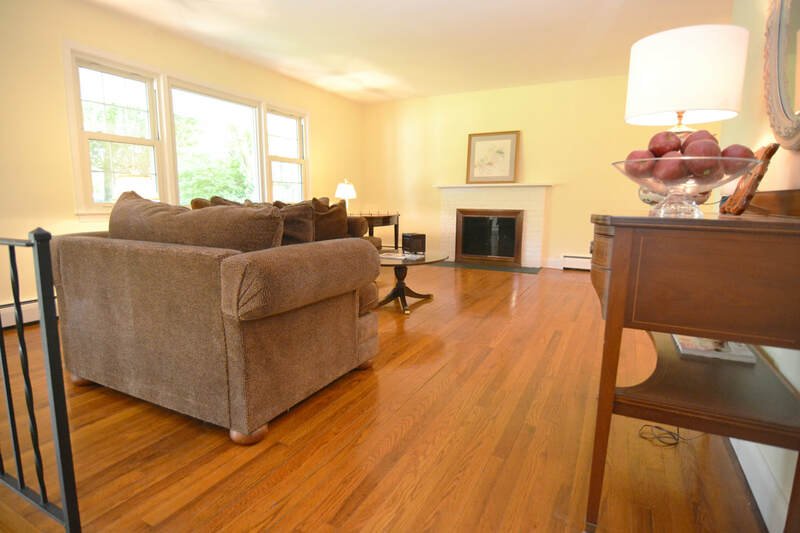 With everything that today's buyer is seeking, 223 Scribner Ave in West Norwalk has it all -- 4 full bedrooms upstairs, including a master suite, hardwood, many updates, a 2 car garage, a large back yard, and much, much more. See this one before is jumps off the market as we have seen with so many of our Norwalk listings!